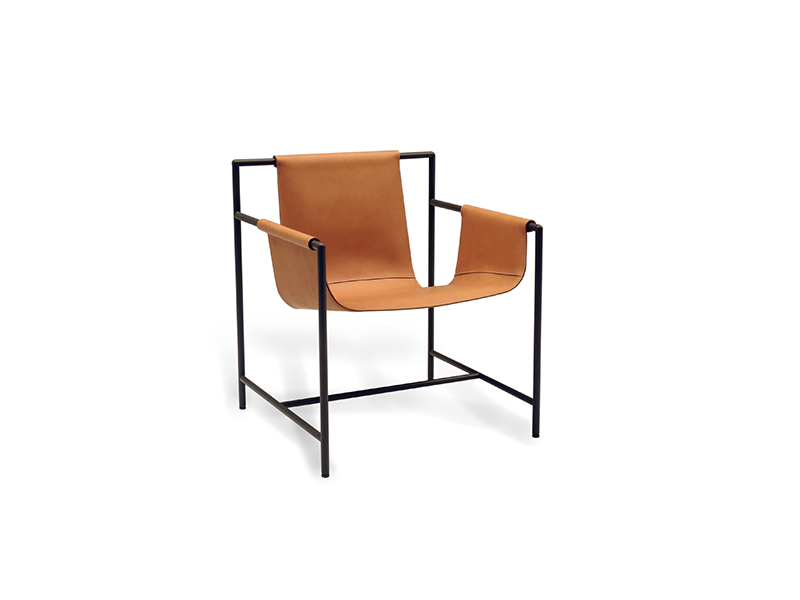 The Ming Chair is a high achievement in Chinese furniture history for its elegant fine line proportion. The pure composition that reflects the spirits of a nobleman tradition since Confucius also resonates with cube combination of the western geometry in modern times. Through an operation of piling up cubes that generates a set of new modular lines, a new Ming Frame is emerging. Usually curvy lines are used for the backrest and armrest of a Ming chair to suit human body as well as excite its monotonous arrangement. 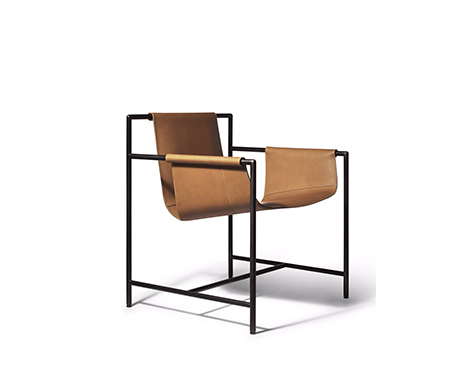 In this new furniture, all the parts that touch the human body including the seat, armrest and backrest are detached from the frame and transformed into one continuous leather handicraft, a soft material from western craftsmanship now delicately grafted onto an oriental frame. 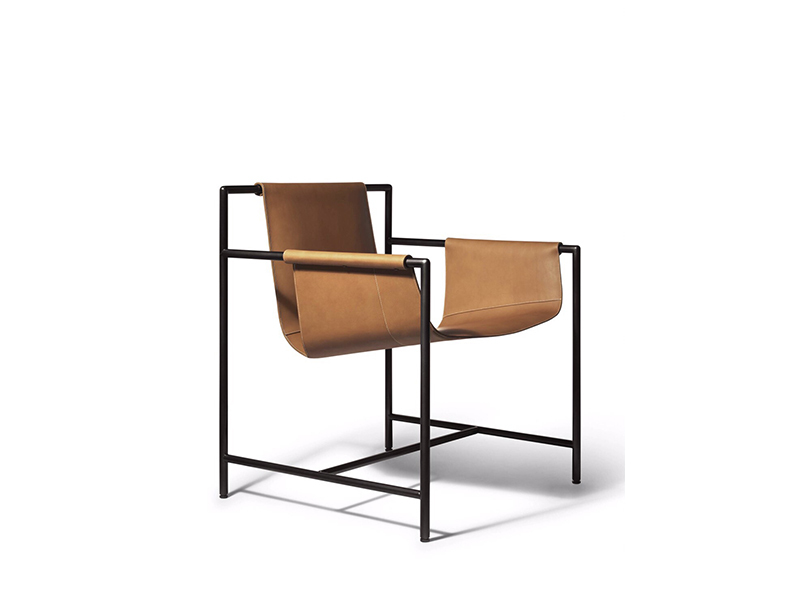 Due to differentiation, elements are reconfigured within the chair. The gravity that was traditionally supported from bottom now is converted to be suspended from top. 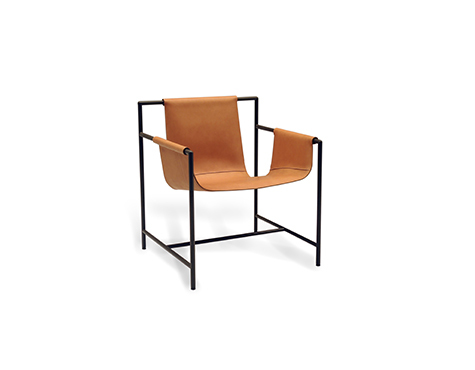 The apparent discontinuity among elements in contrast to the layout in the original Ming chair emphasizes the new configuration and reveals a new visual implication. The soft texture with tension brings a brand new physical sensation. With similarity and dissimilarity derived from the Ming chair, the furniture that contains synthetic viewpoints from east and west projects a new horizon off ground, floating in the future ahead. 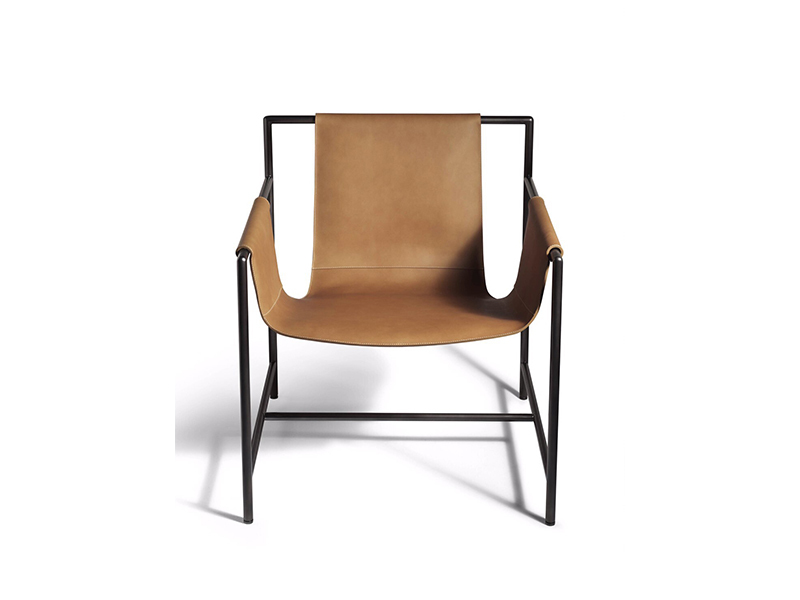 The chair is composed of two parts: A set of frame structure and a sheet of free form made by handicraft leather. The frame structure is made of coated tube steel which comes with various color options. The free form is defined by the metal plate's specific shape which is finished with handicraft leather wrapping the whole. The free form is hung from the backrest and both armrests as a floating seat suspended in the air.